There might be numerous SEO tools out there and though nobody disputes their role, one of the easiest and most accessible ways to optimize your WordPress site is with the help of WordPress SEO plugins. Fortunately, there are quite a lot of WordPress SEO plugins for you to choose from. While you can't say there is a WordPress plugin for every type of SEO tool you can think of, there are some SEO plugins for WordPress you really must try (if you haven't already done it). Here is a list of the most important ones. WordPress SEO by Yoast is rightfully considered one of the top SEO plugins for WordPress. It's a complete suite that covers almost any aspect of SEO. With WordPress SEO by Yoast you can analyze onpage and offpage factors, create XML sitemaps, optimize meta and link elements, as well as RSS and breadcrumbs, edit .htaccess and robots.txt file, enjoy integration with social media, use it on multiple sites and many more. In a sense, if you get this plugin, you might not need anything else. All in One SEO Pack is another really popular and comprehensive SEO suite for WordPress. Similarly to WordPress SEO by Yoast, you can use this one to handle all your SEO tasks. All in One SEO Pack offers XML sitemaps, optimization of titles and metatags, advanced canonical URLs, and what not. One of its uniques features is the ability to eliminate duplicate content issues. Additionally, it's a plugin you can use on e-commerce sites. If you are not looking for a complete SEO suite, such as WordPress SEO by Yoast or All in One SEO Pack that among their numerous features come with XML sitemap generation functionality but would like a simple plugin especially for this, then Google XML Maps is your best choice. This plugin doesn't come with bells and whistles and it doesn't offer tons of functionality but it is really fast and reliable for XML sitemap generation, even if your site is pretty large and there are thousands of pages. Here is another plugin (or more precisely a template) from Yoast de Valk HTML Sitemap for WordPress. While XML sitemaps are no doubt useful for search engines, an HTML sitemap is definitely more useful for your human visitors. HTML sitemap generation is not part of the WordPress SEO by Yoast it's provided separately. The template in the link is special because it gives you a lot of flexibility when you decide what to include in your HTML sitemap and what to skip. We all know how important it is to optimize images and how much time this could take. This is why it really makes a difference when you have a reliable ally on your site. With the SEO Friendly Images plugin for WordPress, it gets so much easier to optimize your images. This plugin automatically adds alt and title attributes to all your images. Of course, if you are not pleased with its suggestions, you can always modify the automatically added alt and title attributes to something you like more. You might have mind-blowing content but if it doesn't get traffic, then it's useless. Out of the many ways to drive traffic to your site, social sites are among the best. With the Share This plugin for WordPress, content sharing is much easier. The plugin not only allows you and your readers to share your content on sites such as Facebook, Twitter, and 120 others but it also comes with analytics features, too. There is hardly a SEO expert who doesn't know how bad broken links are. Checking broken links one by one is not physically possible, even for a small site. While there are numerous free and paid tools that check for broken links, if you don't want to leave WordPress, you can get the Broken Link Checker plugin and monitor the health of your links with it. When a broken link is found, you are notified about this. While the previous plugin is great with broken links detection, if you want more power in dealing with your links, then you need SEO Links Checker. The purpose of this plugin is to automatically create links (i.e. affiliate links) and make them nofollow, if you like. If you are running a big site with a lot of affiliate links tied to a particular keyword, this plugin is a valuable assistant. Just remember to use links wisely i.e. don't stuff your posts with links simply because it's so easy to do. 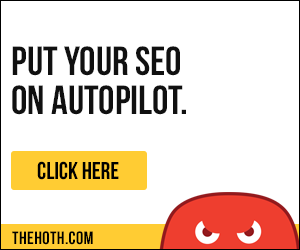 The last plugin on this list SEO Plugin by Squirrly is again a full SEO suite but the difference is that it's for NON-SEO experts. This said, the plugin is by no means inferior to the rest, it simply doesn't offer that may opportunities to mess directly with code. SEO by Squirrly deals with all aspects of SEO customization from content marketing, to keyword research, to SEO analytics, to onpage optimization. Of course, there are many more SEO WordPress plugins we couldn't cover in this article. If the plugins on the list are not what you need, browse the Net for alternatives. However, be warned that most of the other plugins are either not as good, or they are for earlier versions of WordPress (and might not be compatible with the latest ones). While the WordPress plugins on the list are generally OK for most WordPress Web masters, if they are not OK for you, you always have the option to optimize your WordPress site with external tools.